Last week I felt both relieved and elated to complete the first draft of my debut novel. The week was made doubly sweet by Connor suprising me with a special dinner out to celebrate this accomplishment. We are living on one income while I finish my novel, so we both really appreciated a whiff of the good life. And the best red I’ve swilled this year. I’ve been advised to let the novel ‘rest’, but due to our situation (and my desire to get this story polished and into real readers hands), I have every motivation to move into my second draft now. Where are you at in your current writing project? Are there any tricks you use to keep yourself moving ahead? Writers seem to grumble about composing a synopsis. Call me sadistic, but I enjoy them. They force me to commit to a version of the story. Today I reworked the amusingly ambitious synopsis I wrote about two months ago. I aligned it with the actual plot of the first draft. One reason why resting a draft is a good idea (other than preventing the gag-reflex when you encounter putrid rubbish having mostly imagined writing perfectly ripe fruitful phrases) is to gain some objectivity. Maybe I’m just naturally hard on myself, but I could tell you exactly what was wrong with my first draft as I wrote it. Unfortunately that brilliance did not extend to fixing said mistakes at the time. Character A sounds like an English gent yet he’s a savage – fix it. You said object X was left behind, whereas it’s in the fight scene so you had better fix it! Writing group member quibbles over the scientific basis of occurrence Y – check your sources. As you can see, they are more commands to self than courteous questions. I find this a great way of freeing myself to move the text forward. After a three day break from the novel I found more areas for improvement and can now edit with the cold precision of a surgeon’s knife. This week I’ll prioritise the long list of 50+ grumbles and attack the worst offenders first (or the easiest depending on my mood). I intend to have a completed novel by early December (so I can enjoy the silly season wholeheartedly and give myself five months to find a publishing home). Five drafts seems like a reasonable figure. So I have just over a month per draft. What would you wake up at 2am for? Today started at 2am for me. I had one of those rare mornings when you’re awake in an instant. A hot cup of cammomile and spearmint tea later, I was at my desk. Furiously bright inside as I tapped away at my noisy keyboard. By 8am, when most people are just starting work, I had achieved a lifelong goal: MY VERY FIRST NOVEL DRAFT. After almost three months working on it I am finally finished! I suspect this story has another three or four (or maybe more?) drafts to go before I’m ready to unleash it on the world. 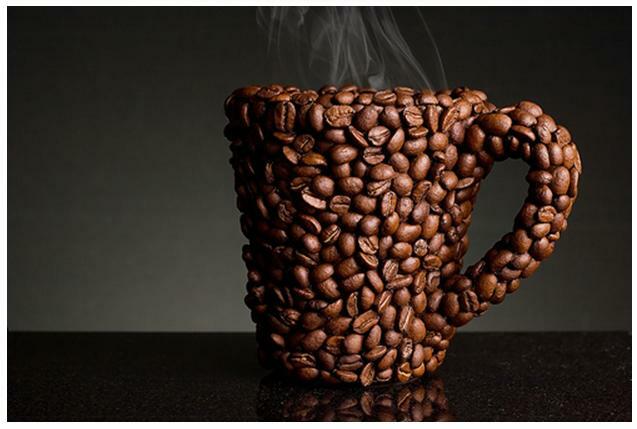 This is going to be a two-coffee day, but in the best possible way! I grant you, it doesn’t have quite the fatuous flair of its oxymoronic cousin ‘Doing Nothing’. It does have some value, at least for me. In today’s post I’m going to share three guilt-free activities to escape temporarily from your writing which actually make you a better writer. I’m not going to cheat by including Reading as one of those activities. If you fancy yourself a writer and you rarely read, I’d hazard you’re not much of a writer. I’m even going to exclude web browsing (we all know glam and gossip can be edifying in their own ways). I’m also not talking about getting up to make your fourth cup of tea or coffee which you then sip once after realising you cannot stomach another of those today. I classify that under mild leg and arm stretching, not procrastination. Procrastination is a mental affliction preventing the physical form from coherent key tapping. If the bottom glue just isn’t working on a writing day, rather than chastise myself, I try to something vaguely useful to the overall goal. It gets my mind thinking along a different track (pardon the pun), and my prize haul to date includes a backstage meet & greet with a musician, a bottle of perfume and hundreds of dollars worth of books. Sadly I do not have a furry companion at the moment, but if I did, my little puppy would not have a chance to plump up. We’d be round the block, down at the park with the frisbee, sniffing the wonders of the local bakery. Actually it’s probably a good thing I don’t have a dog right now. The next best thing to walking with a mate is of course walking somewhere picturesque. How can you not be inspired to write after some lovely fresh air? Like a pub crawl, the aim of a bookshop crawl is to soak up the atmosphere at one shop after another. You stop when either a) You are seized by the need to write and see your book on the shelves b) You’ve bought more books than you can read in the next year c) You’re starting to feel word sick. The Bookshop Crawl has the pleasant side effect that you can spy on customers and see what people pick up and take home. So what are you doing when you should be writing? Don’t ‘Do Nothing’. Engage in Productive Procrastination. Maybe it’ll catch on? Maybe not. For me, there are two types of procrastination from writing: good or bad. Bad procrastination includes any activity that not only detracts from your word count or the quality of your work, it actually makes you less likely to write that day. One load of washing spirals into a spring cleaning epic. I’m too tuckered out to type afterwards. A Facebook friend announces a birth, death or marriage. I’m obliged to congratulate or condole accordingly. If my writing like a hermit hasn’t deterred a friend by now and I’m actually having a live, in-person conversation with them, they care enough to know that I am writing and will inevitably ask ‘so how’s the book going?’. If I’m socialising in writing time, I’m just going to feel bad about it. Do you engage in bad procrastination? Perhaps our family members also feel like saying this to us at times? 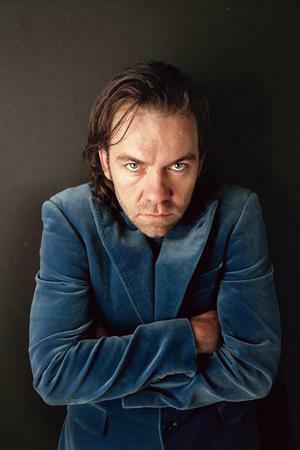 Here is Brendan Cowell, terrific Australian actor, as Hamlet in the Bell Shakespeare production last year. The performance I saw at the Sydney Opera House was the most enjoyable Hamlet I have seen to date. Slaying Claudius is akin to writing a novel. Not that writing is a murderous occupation, but it does involve pain and contemplation. Good (or tolerable) procrastination may reduce your word count for the day, but it somehow helps in the overall journey to finishing the manuscript. I don’t want to pick a fight with the woman dubbed ‘Humanist of the Year’ (2007), but I have to disagree with her on one topic: housework. How do you stay focused (on writing)? I consider myself a clean person living in a hygenic but messy apartment. I must admit that since I started writing full time, the house is dirtier than before. I am stubbornly refusing to let housework encroach upon my writing time. I didn’t bring dishes or washing or scrubbing to the office – why should I change that attitude just because I’m home more often? I like to think that I rarely nag Connor to do anything (let alone housework), but I do think I’m the driving force in getting the house clean. Except anything sink related. Connor is a clean-up-immediately-after-dinner kind of person. I was more a morning after person (rinsed the night before of course). Or at least after my food has settled. I’ve since come around to his way of thinking – it’s nice not to face a mountain of washing each morning. Something strange has happened lately though. Despite the dishes getting done after dinner, there’s still a pile in the morning. We don’t have a lot of space in our kitchen (about enough to swing a keyring). I’ve been eating at home more often (thereby making more mess) and in this space we can’t keep up. I have had to modify my HOUSEWORK FREE TIME ZONE to include a quick wash-up. 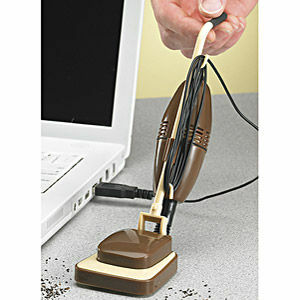 Don’t let housework invade your creative workspace! Has your writing made you more or less house proud? The phrase ‘You never get a second chance to make a first impression’ is well worn, but especially pertinent to a writer navigating slush piles. Publishers receive so many unsolicited manuscripts that it is physically impossible for them to read your entire work. You’re lucky if they finish your first page before moving on to the next manuscript. First impressions matter. Your first page or perhaps only your first line will be judged as emblematic of the quality of the thousands of words which follow. How do you craft a riveting first line? My writing process, unlike a good scientific experiment is not consistently reproducible. Sometimes the first line I write proves to be the both the first line of the story and the best choice. Sometimes I have to write the story before I can pin the opening down. Right now I’m working on the first draft of my first novel. I’ve set myself the milestone of Bastille Day to finish it. There’s about a hundred pages between now and then to write. I should be tapping the keyboard furiously to close the gap, but instead my mind is circling the opening sentence like a vulture sensing death. Great first lines not only grab your attention, they pull you into the story. I may have been going to far by equating them with flashing, but they’re just as arresting. I wonder whether these gems arrived in the first draft stage. How marvellous if they did. What are your favourite first lines of published works?